Since all of ALADHAM systems are built on the same software platform, and we are continually upgrading and improving that platform, supported clients automatically receive regular software upgrades as new versions of the system are released. The upgrades include performance improvements, cosmetic and user-interface enhancements, and new features that have been requested by clients. New modules also make regular appearances, allowing whole new functions and tools to be implemented on your site if you decide they are useful to you. ALADHAM hosts its own web service solutions as well as those of its clients; however, we are not a hosting company per se. We specialize in 'WSLA' hosting services for clients that require customized installations, high-calibre support services, and guaranteed response times. Hosting with ALADHAM is optional. Some of our clients have their own hosting arrangements, and we are happy to host elsewhere. If ALADHAM hosts, we have no bandwidth or data capacity limits. 100 Mbps redundant internet connections to tier 1 backbones. UPS connection and diesel back-up generators. Specializing in LAMP (Linux, Apache, MySQL, Perl/PHP) architecture. 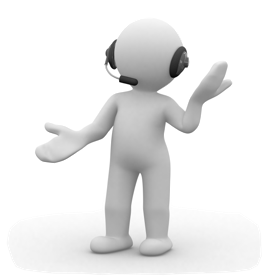 24/7/365 technical support in addition to fully automated monitoring systems.